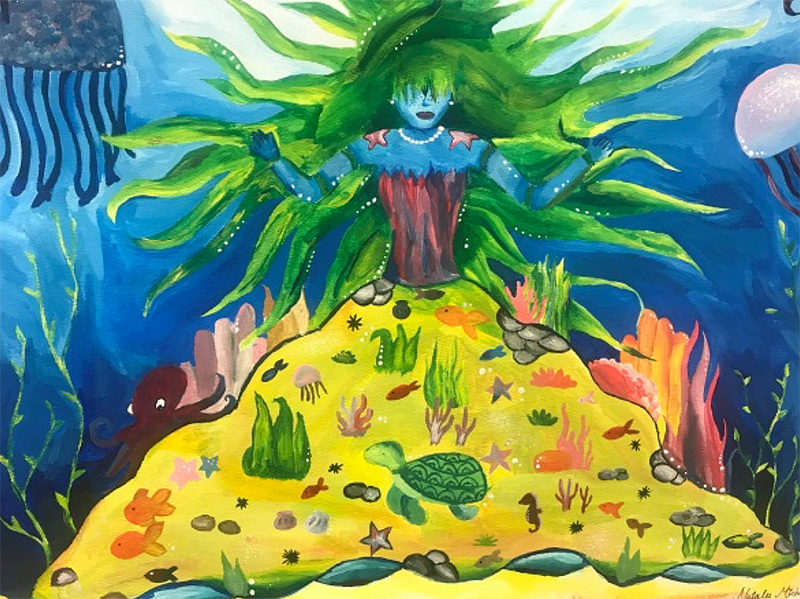 The Long Beach Museum of Art’s annual Long Beach Unified School District middle school exhibition continues through March 1 in the Toyota Children’s Gallery. “Mystical Creatures: Flight of the Imagination” includes 89 works of art selected from more than 200 submitted by young artists from local middle schools. The museum also recently held an opening reception where student artists and their families viewed the exhibit. Participating schools are Bancroft, Franklin, Hoover, Hughes, Marshall, Rogers, Stanford and Stephens. The museum is located at 2300 Ocean Blvd., Long Beach. Schools here continue to offer a comprehensive, sequential program of study in the arts, including dance, drama, music and visual arts. 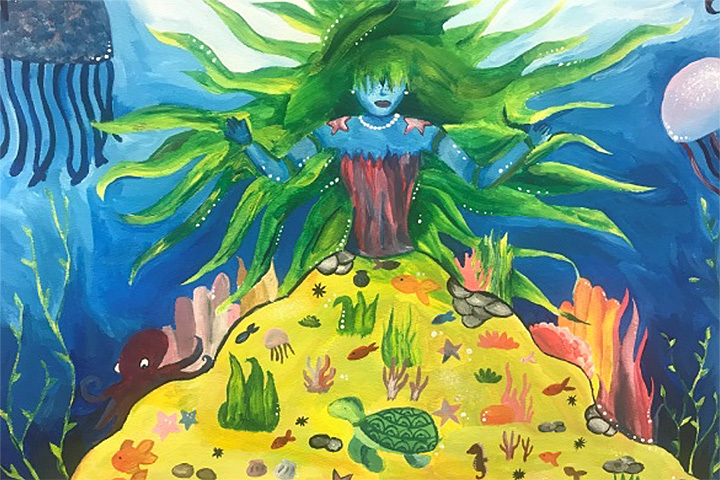 MYSTICAL – “Skirt of the Sea” by Stanford Middle School eighth grader Natalee Michel is among the pieces in the “Mystical Creatures: Flight of the Imagination” exhibit continuing through March 1 at the Long Beach Museum of Art.